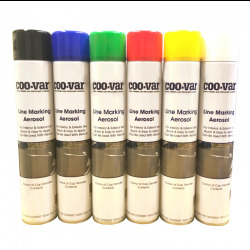 Coo-Var Road Line Marking Aerosol Paint is a fast drying line marking aerosol for use on many surfaces. Available in six colours. 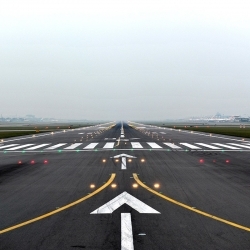 An ideal line coating where speed and efficiency are important. 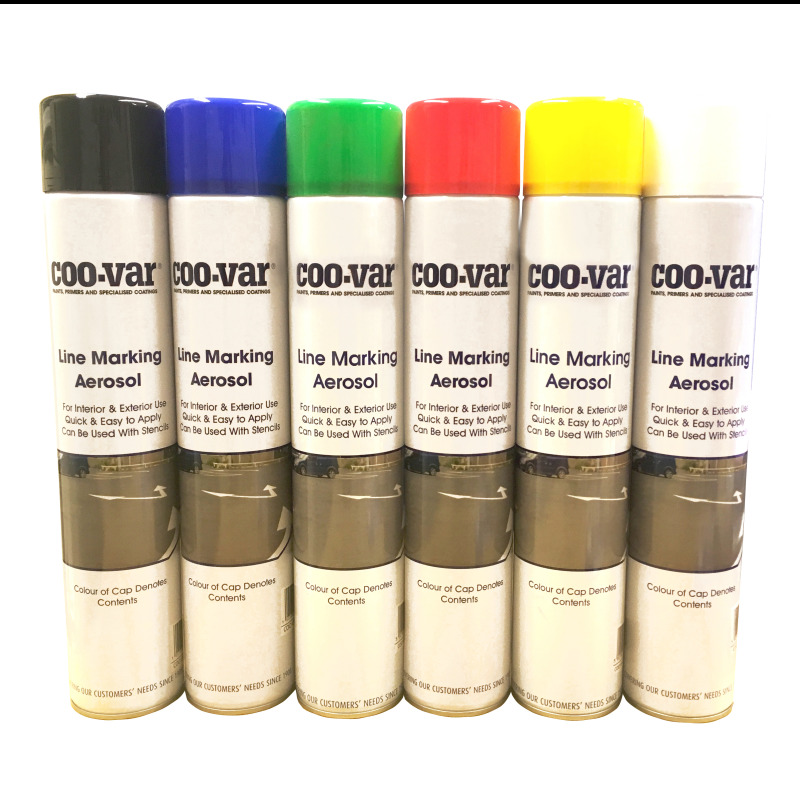 Coo-Var Road Line Marking Aerosol Paint is a fast drying line marking aerosol for use on many surfaces. Available in six colours. 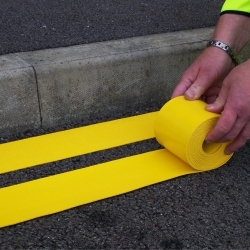 Coo-Var Road Line Marking Aerosol Paint is ideal where speed and efficiency are important. 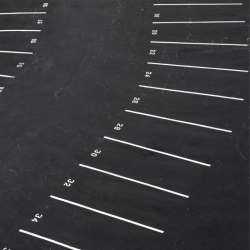 Convenient, fast line marking system for car parks, tennis courts, building sites, factories, schools and quick 'site' markings. 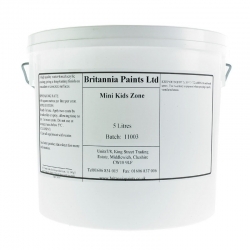 Appropriate for a variety of surfaces both indoor and outdoor including &nbsp;bitumous, tarmacadam and concrete. 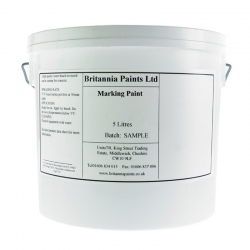 Ideal for use with coo-Var stencils for general markings. Touch dry within 30 mins. 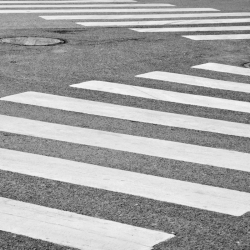 Ensure all surfaces are clean, dry and free from grease, oil and any other contaminates. Shake the can for a minimum of 1 to 2 minutes after the agitator balls are heard rattling and again frequently during use. IMPORTANT - After use do not allow paint to dry in the nozzle by turning the can so it points upwards and pressing the nozzle for a few seconds to clear the nozzle. 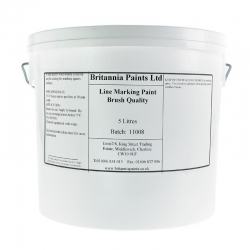 Best when used with an applicator, speed of movement dictates the density of the line produced. Do not apply if ambient temperatures fall below 3 degree C or relative humidity exceeds 90%. 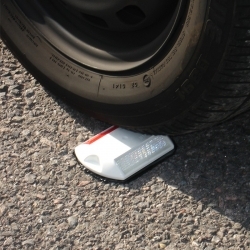 Ennis-Flint Prismo Temporary Road Studs are BSEN 1463 compliant with&nbsp;self adhesive stick-on pads for easy application. 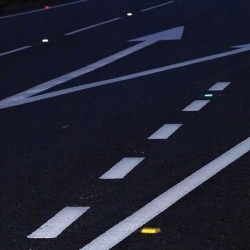 The&nbsp;stud body is fluorescent to give excellent day and night time visibility.&nbsp;Ennis-Flint Prismo Temporary Road Studs are used on contra flows and areas within road works to designate lanes. 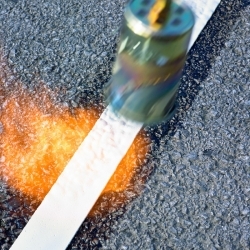 Ensure a professional finish by using the Ennis-Flint Gas Torch to apply their thermoplastic markings such as Ennis-Flint Prismo Flexiline. 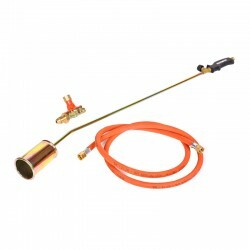 Supplied with 5m hose and 0-4 bar regulator. Rust-Oleum 2 Wheel Applicator + 2 FREE Aerosols! 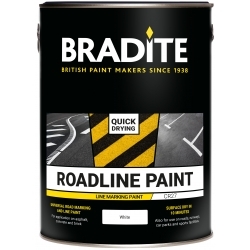 A quickly assembled 2 wheeled line marking machine, ideal for intricate areas and tight spaces that provides sharp, accurate lines quickly with the Rust-Oleum Line Marking Paint Aerosols.